Parents may be unaware of the different types of books available, or why they should vary the types of books they read with their children. It is important for families to be able to handle, page through, and consider not just the books that they are most familiar with, but many types of children’s literature. Giving families a chance to look at books of different types can help them think about what kinds of books they like to read or might like to read in the future. The purpose of this session is to give families the chance to look through many children’s books and discuss the types of books that appeal to them the most. 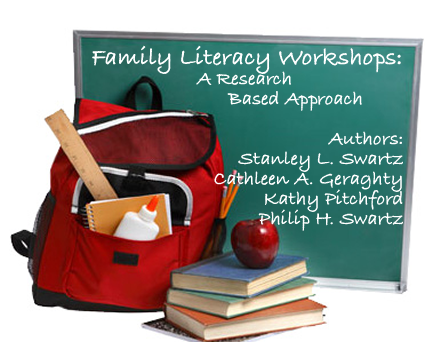 This activity will allow parents and children to explore types of books and begin to develop text preferences. This activity addresses Word Analysis, Fluency and Systematic Vocabulary Development, and Written and Oral English Language Conventions by playing an oral language spelling game based on famous people. This activity addresses Reading Comprehension, Writing Strategies, Writing Applications, and Written and Oral English Language Conventions by giving the family a chance to discuss and develop new endings for popular stories. This activity addresses Word Analysis, Fluency and Systematic Vocabulary Development, and Written and Oral English Language Conventions by using jumbled up words and clues to explore spelling. 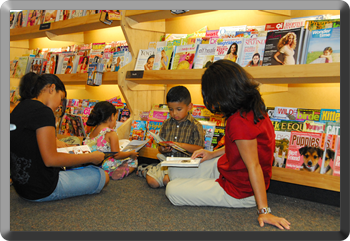 This activity addresses Word Analysis, Fluency and Systematic Vocabulary Development, Reading Comprehension, Literary Response and Analysis, and Oral and Written English Language Conventions by encouraging parents to form book clubs with their child, where both parent and child are reading the same book written at their respective reading level.